Sallie Tisdale will lead a Conversation based on her book Advice for Future Corpses (and Those Who Love Them) for the Art of Aging/of Dying series at the Hoffman Center for the Arts in Manzanita on Monday, April 15, 2019, from 3 to 5 pm. Fee is $5. Cloud & Leaf will have Sallie’s books for sale at the event. Sallie Tisdale’s book is based on workshops she has given for several years in how to prepare for death. The workshop is based on blunt exploration of our fears and resistance to the fact of our own death, and the many ways we subtly accept the idea without fully accepting the experience. Several exercises as well as discussion help us move toward a deeper, experiential awareness of our own death and our hidden attitudes toward it. Sallie Tisdale is the author of nine books, including Talk Dirty to Me, Stepping Westward, and Women of the Way. Her collection of essays, Violation, was published in 2015 by Hawthorne Books. Her works have appeared in Harper’s Antioch Review, Conjunctions, Threepenny Review, New Yorker, and Tricycle, among other journals. Tisdale is the 2013 recipient of the Regional Arts and Culture Council Literary Fellowship. 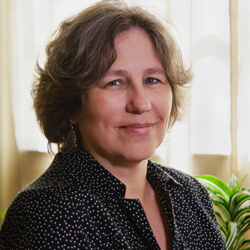 She has received a Pushcart Prize, an NEA Fellowship, the James Phelan Literary Award, and was a Dorothy and Arthur Shoenfeldt Distinguished Writer of the Year. Tisdale is a long-time member of PEN and was a judge for the National Book award in 2010. In addition to her award-winning writing career, Tisdale has been a nurse for many years, including a decade in palliative care. We are honored to have Sallie Tisdale as part of the Art of Dying’s ongoing intention of supporting conversations about death in our community.